If you’re looking to take your business to new heights, meaning new business landscapes, customers, and sales, you will need to localize. Localization is the process of adapting your business, including your services and products, to a new market. Localization ensures your brand messaging and materials, including instructional documentation and software, is customized to the lingo of its new territory. 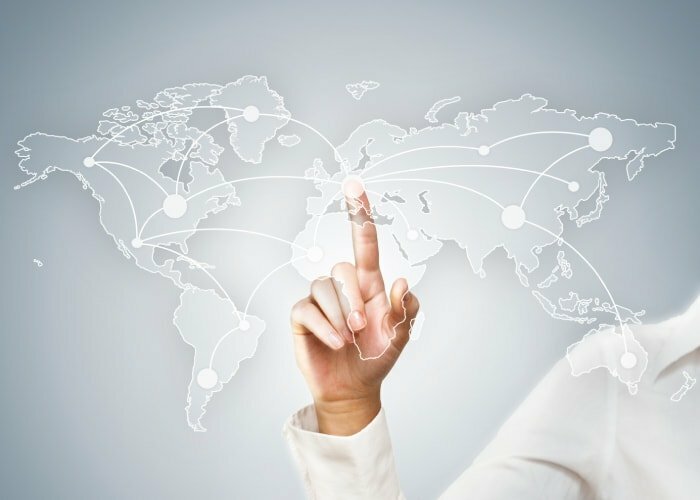 We offer a variety of customized localization services to help you do just that. At EuroLingo, localization is what we do best. We are a localization company with years of experience delivering accurate and efficient localization for hundreds of businesses in a variety of sectors. During the localization process, not only will your business offerings and assets be translated effectively, but we will also fully analyse your branding to ensure it is in-line with the country or region you are localizing into, helping you to generate new customizations with clear messaging from the get-go. For many businesses, the localization of technology is one of the biggest undertakings; however, at EuroLingo, we make it look easy. Our team has extensive experience in software localization, mobile localization, website localization, and even gaming localization, which will ensure your business, and the services associated with it, is portrayed without miscommunication when entering new markets. Often, country-specific jargon that does not have a direct translation in new business territories can prove to be a problem. Yet in the face of this, our team uses both their native language knowledge as well as a variety of innovative translation software packages to trace and cross-check any language at risk of being misunderstood, correcting it as need be. During the localization process, it’s important that you don’t forget to translate documents and business assets that you see and use every day, including software interfaces and documentation, as well as product packaging. This can also be said for your sales and marketing materials, including catalogues, brochures, datasheets, and graphical multimedia. Our experts will work with you throughout the process at EuroLingo, to ensure you have everything you need to expand your business successfully. Working with both of our teams, we will establish clear targets and milestones and ensure every stage of the localization process and what it entails is understood by the different stakeholders at hand. One of the most important stages of localization is to determine what exactly needs to be completed and when, gauging how long the different stages take. You will receive a quote based on our evaluation. Language is key to successful localization so our experienced team of translation professionals will analyse any cultural, technical, or linguistic differences between your current cultural business presentation and those of your new territory, identifying anything that could prove a problem such as the use of complex jargon that does not easily translate. Localization isn’t just about what you see – often, the coding in place in your current software or website will need to be adapted to suit the country you are localizing into. Any changes will be identified through an in-depth analysis of your current software architecture, including HTML and CSS. Once the localization strategy is in place, we can begin the localization process. To start, we will extract all the text from your files using the appropriate tools, including the extraction of raw file data. Once we know just how much content we’re dealing with, we will be able to provide you with a full estimation of the entire localization process, confirming how long our localization services will take and what the price will be so you know exactly how the process will play out from start to finish. Using existing translations in our database, we will create and maintain terminology glossaries to ensure that all your content is translated effectively and accurately, including the use of alternative terms in place of those that cannot be translated due to cultural differences or linguistic limitations. Once your glossary is complete, our team will translate your content accurately and efficiently. Usually, we use in-house translators. In some instances, however, we also make use of our network of freelance translators. Once the translation process is complete, we will analyse and adapt your user interface to match any localization-related differences such as button sizes and text direction to create an interface that is current with the standard presentation of in the area your business is localizing into. Any multimedia materials you use for marketing or other purposes will need to be localized. This stage includes the localization of any aspects of your content that could not be localized in previous stages. Once the foundation of the localization process is complete, we will begin re-building your files for testing, during which we will uncover any issues that can be dealt with and fixed via our experienced software engineers and translation specialists. During the linguistic quality assurance process, our team will proofread all of your content to double-check for consistency, brand voice, stylisation, and translation fluency. This process is to ensure complete accuracy. The functionality of your software, interface, and technology is of the utmost importance, which is why we thoroughly test it to ensure it behaves as it should and has a consistent aesthetic quality. Once all the stages listed above are verified and complete, we will deliver your localized software or content. Following our thorough process, you will now be able to share your software and content in your new market: it is time to have peace of mind that the breadth of your content has been adapted and localized, ensuring a fully user-friendly service to your customer.